Cassio builders has more than 30 years of custom homebuilding experience. Through our experiences, we have developed relationships with suppliers, subcontractors and other professionals that help us deliver the best quality custom home at the best possible value to our clients. Cassio Builders understands the old "cart or the horse" feeling that most people feel. We also understand that every client has a budget. That is why we begin our process without deposits or contracts. We work with our clients to identify a custom home design, features, finishes and costs to ensure we have a project that makes sense. If financing is required, we even work with our clients and the banks to ensure financing will be approved. We even work with our clients to identify the appropriate piece of land (if one is not already selected) to accommodate their home and budget. All of this is done before drafting final plans or signing contracts. This approach protects our clients from spending tons of money on something that may never work out. Instead, our approach guarantees that the project is completely realistic before our clients commit to contracts and spending. Only if we reach a home design, material selections and budget that meets our client's expectations do we advance to a contract. Cassio Builders believes that interaction and communication with our clients, vendors, subcontractors and other professionals is essential. That is why we use an online system that brings them all together. It allows our clients and every member of the team to access project information, 24-7. Plans, specifications, budget, finish selections, change orders, schedule, and all project communication are accessible to our clients and the entire team at any time. View a tour of the online system now. Most homes we build can be completed within 4-6 months of the start date. 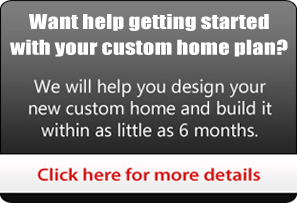 Design a completely custom plan. It can be as simple as drawing your idea on a paper napkin. Just give it to us from there and we'll take over to get you a full blown set of prints. The quality of your home is evident from start to finish in the top of the line products and materials we offer and also in the professionalism required of all sub-contractors working on your home through each phase of the building process. Contact us and see how Cassio Builders will make building your custom home affordable.